We can make Dorie's Cookies! Let's do this! 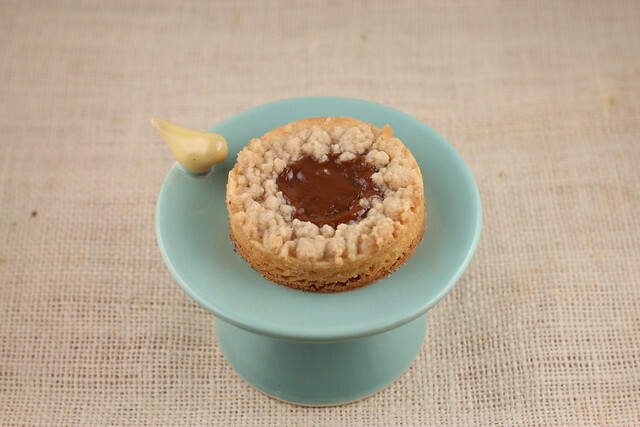 Dorie's cookies are so good and now she has a WHOLE cookbook dedicated to cookies! You have to get it. First of all, it's heavy. If you think this is just a flimsy cookbook of cookies, you are so wrong. It's Dorie! Of course she gives us all her best cookie recipes!! 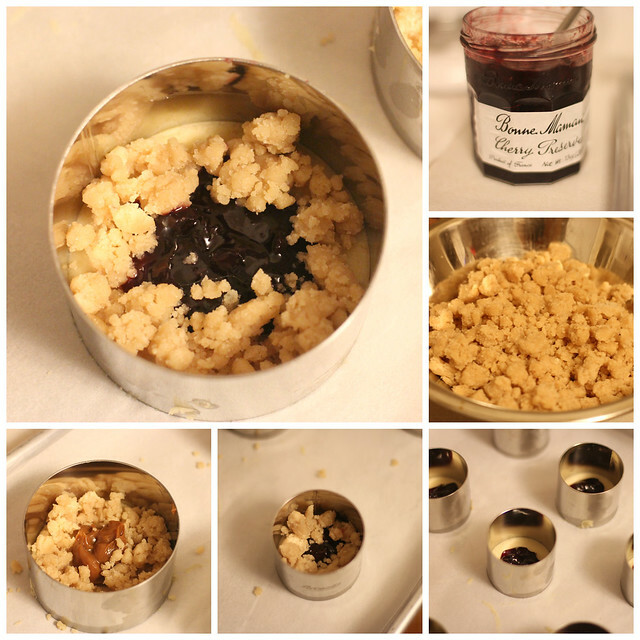 I was fortunate enough to be gifted Jammers from her former cookie store Beurre and Sel. They were sooooo delicious. I knew what I had to make first! 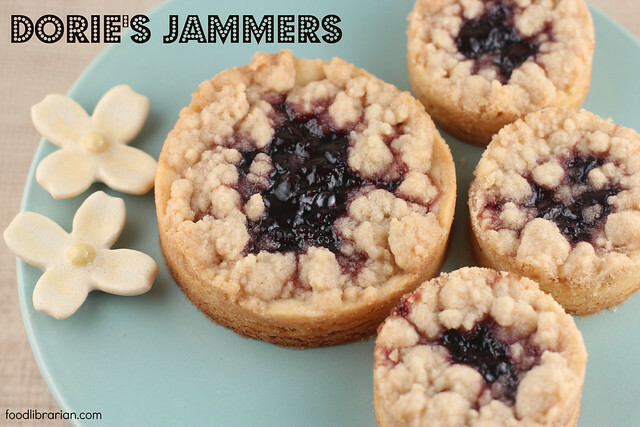 Jammers are shortbread dough, topped with jam and surrounded by a buttery streusel topping. Really, does it get any better? 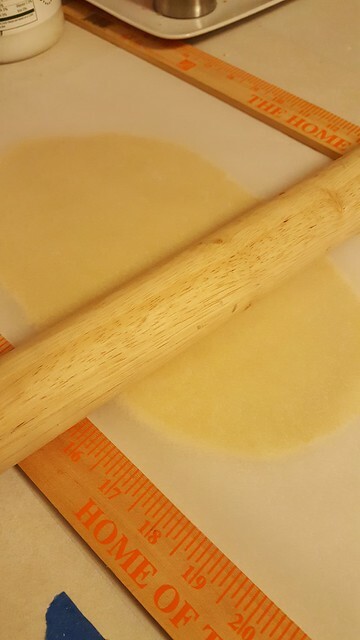 To get 1/4" dough, I roll the dough between parchment paper and use these yard sticks as guides. The guides are really a lifesaver as I'm not a good roller. I recently purchased these Rose Levy Beranbaum guides for thinner doughs (they come in 3/32" 1/8", and 1/16"). I haven't used them yet and am looking forward to giving them a spin. I used Cherry jam. I love Bonne Maman jam. The best! Dorie says you need a thick jam and their jam is super thick! These cookies are so buttery delicious. Seriously delicious. 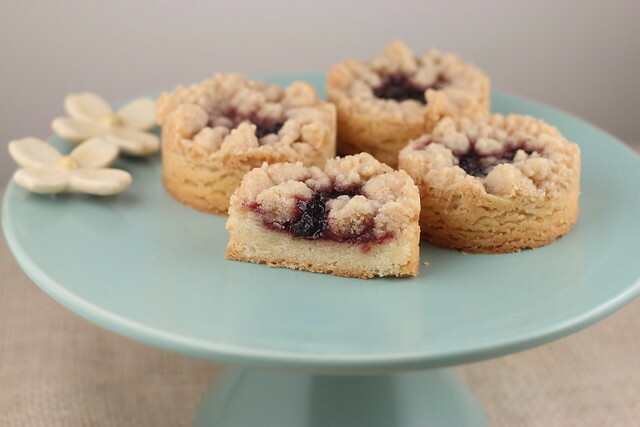 It's like the rich jam is sitting on a cloud of butter goodness and topped with streusel. I can't even. Filled with Dulce de Leche (Trader Joe's sells really good prepared Dulce de Leche in a glass bottle). I can't decide what I like better - the big or small ones. I like them both! 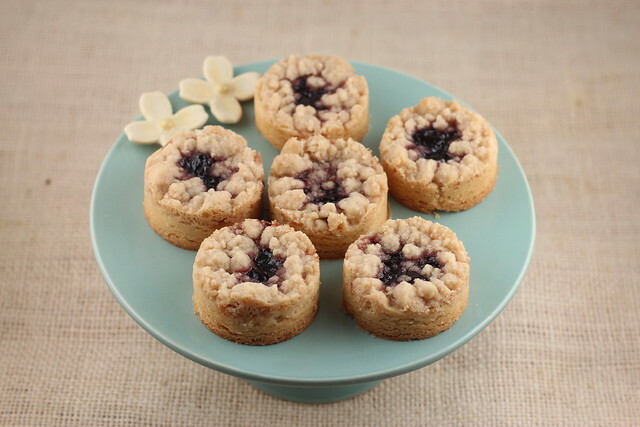 You can find the recipe in Dorie's Cookies. It's also on Epicurious, but you really need to get this book. Great holiday gift too! Full disclosure: I'm in the Amazon Affiliate program and if you click on the links and buy something, I get a few cents - doesn't cost you anything. They look so good..one yr I should invest in those circles..I love the way they make a cookie look. These cookies look fabulous. 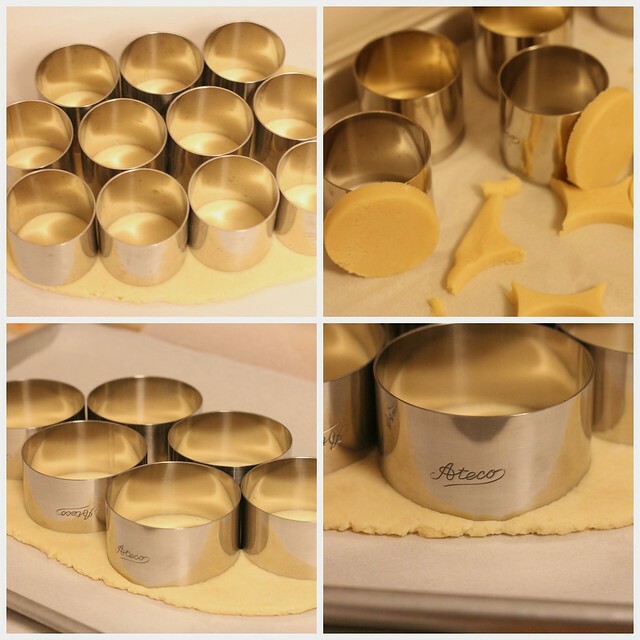 I'm going to have to try to find some cheap round cookie cutters because I can't afford to buy a sheet pan full of the Ateco rings you used. They do look nice and sturdy though. Thanks. Black Friday Instant Pot Pressure Cooker Sale!